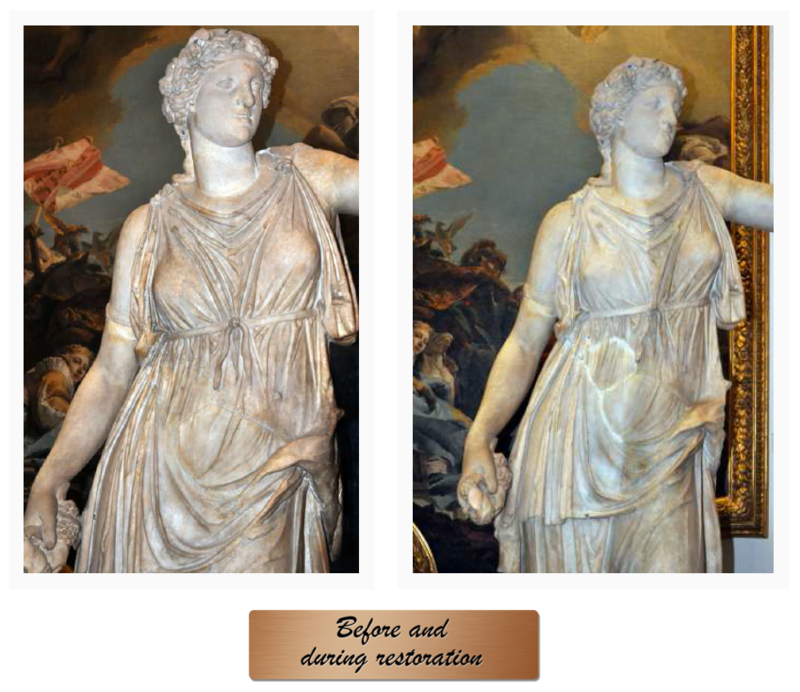 today, by the Medici court sculptor Giovan Battista Foggini who had restored it a few years back, integrating the right arm with the grape-vine. 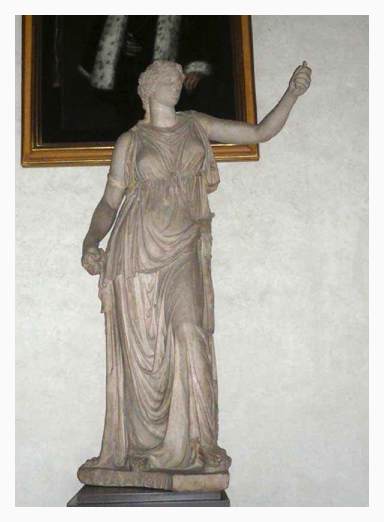 He had rightly interpreted the woman as a follower of Dionysus, not as a Muse as Luigi Lanzi later argued, and Foggini’s intuition was confirmed by subsequent comparisons such as the wonderful relief at the Glyptothek in Munich. 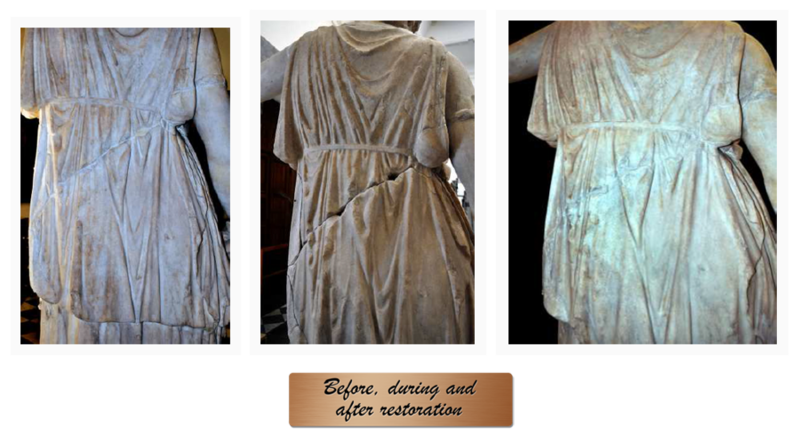 The restoration intervention by Daniela Manna removed the thick dust deposits obscuring the marble surface and gave the opportunity to review all the old repairs, especially in the drapery, mostly degraded and discoloured. 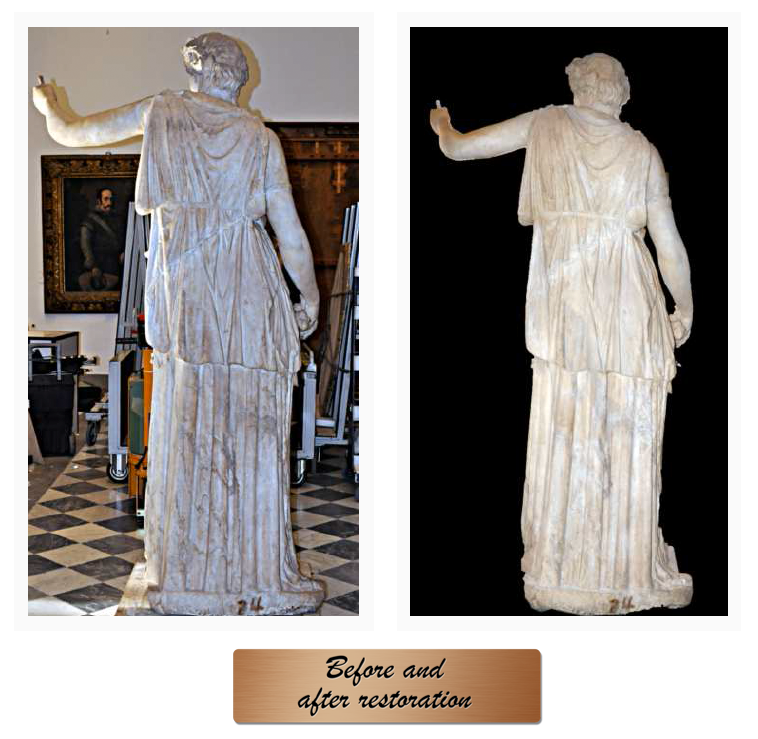 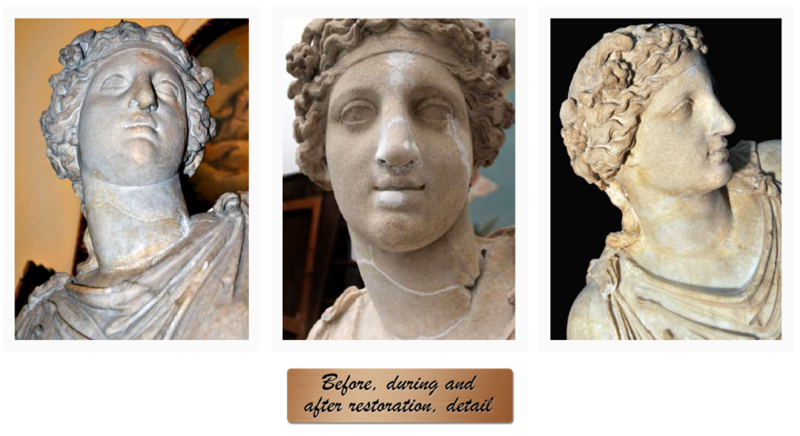 Not only did the statue recover its splendor and readability, but the restoration also revealed so far unsuspected traces of ancient coloration: the woman’s iris is visible under UV light, and the optical microscope reveals tiny but unmistakable traces of red color in various parts of the drapery. 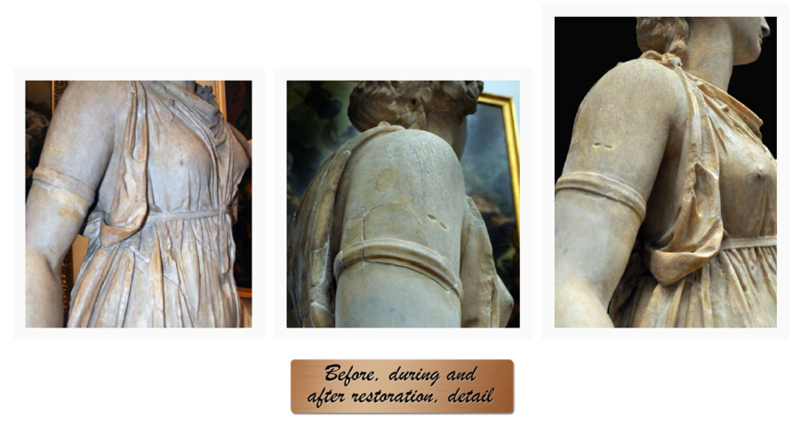 Under the neckline the outline of a painted necklace was also revealed, and some petrographic investigations on torso and neck fragments are still in progress to confirm the head’s pertinence. 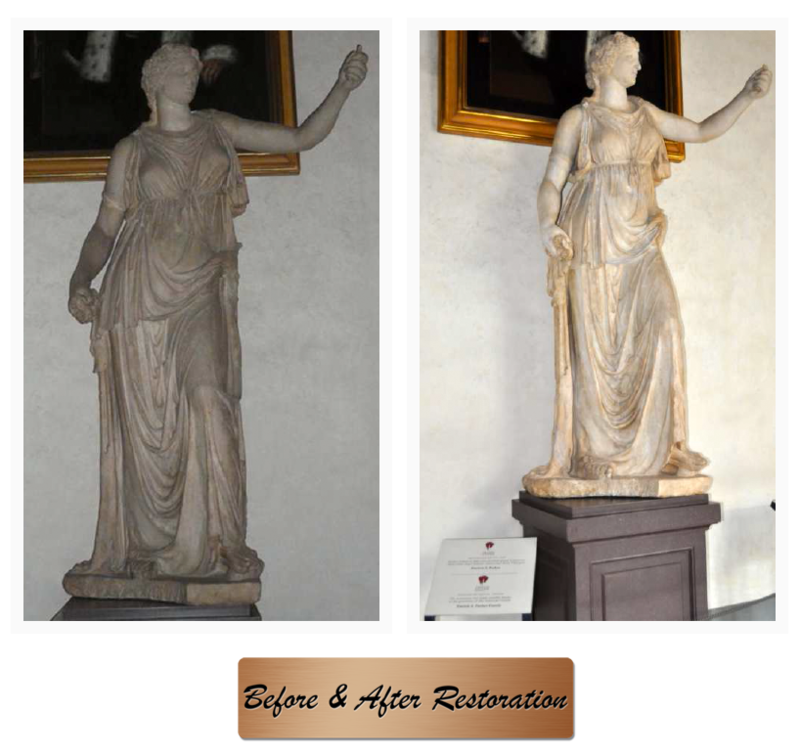 It is also worth noting the statue served the purpose of a real “restoration school,” with the participation of ten students of the “Istituto per l’Arte ed il Restauro Palazzo Spinelli”, under the expert guidance of restorer Daniela Manna. 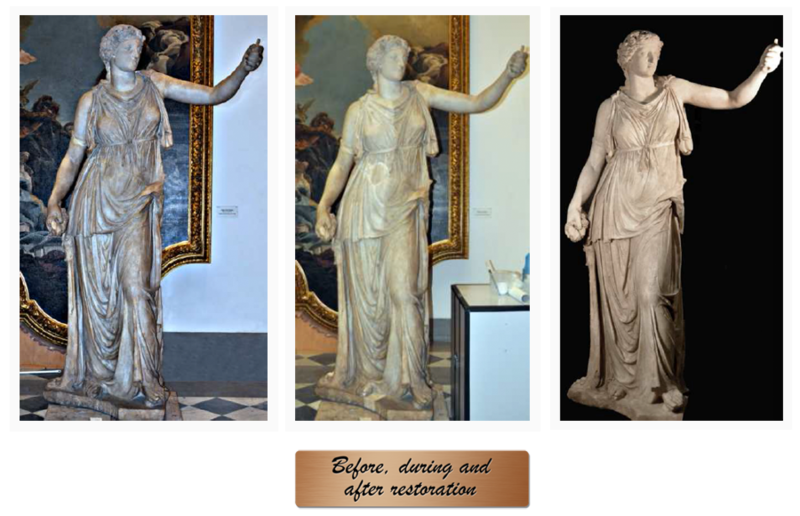 It was thus possible to reconstruct a complex system of tesserae and props, barely discernible in several parts of the left side of the figure, which originally functioned as supports for a knotted grapevine against which the woman leaned.